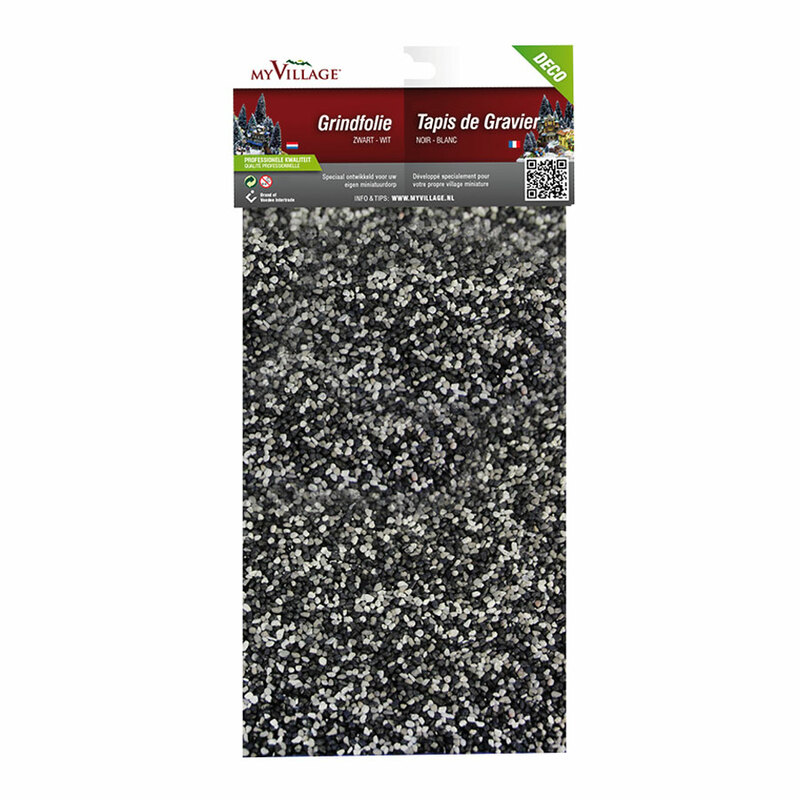 MyVillage™ Black & White Gravel Film 30x14cm from the range of scenic accessories that fully compliments the Lemax Collection Christmas village range. 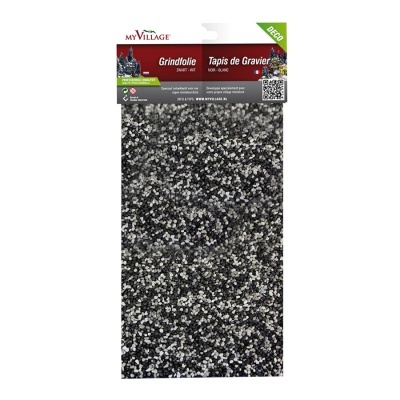 This easy-to-cut decorative black and white gravel patterned flat sheet is ideal for creating road or path effect flooring in Lemax displays, and is suitable for permanent fixing with MyVillage™ Sprayglue or other PVA scenic glues. Single Gravel Film measuring 30cm x 14cm with stone gravel pattern adds realism to your Lemax street display as either permanent or temporary decoration.